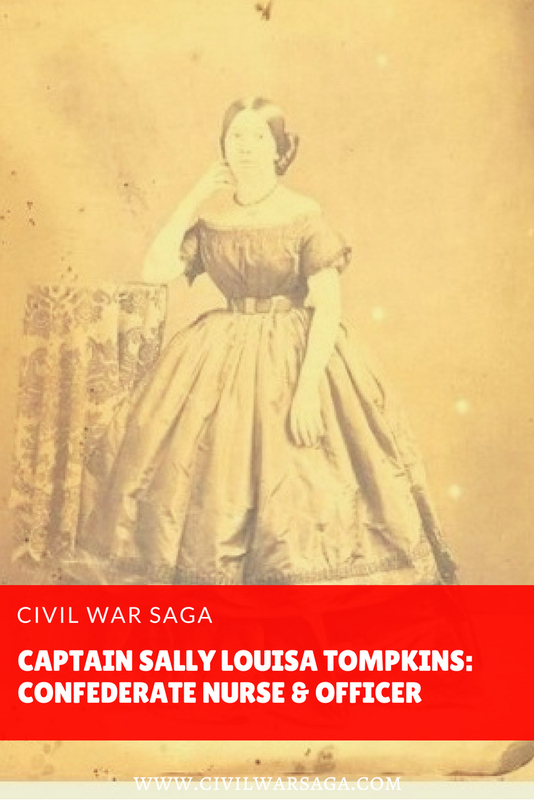 Sally Louisa Tompkins was a Civil War nurse and the only officially commissioned female officer in the Confederate Army. 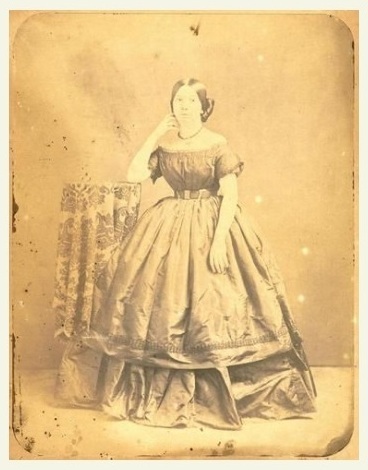 Born on November 9, 1833 into a wealthy Virginia family, Tompkins was the daughter of Colonel Christopher Tompkins and Maria Patterson and grew up on the family’s plantation in Poplar Grove, Mathews County. After Colonel Tompkins passed away, shortly before the outbreak of the war, Sally relocated to Richmond. Following the first Battle of Bull Run, the Confederate government asked the citizens of Richmond to help nurse wounded soldiers. This prompted Tompkins to ask her friend, Judge John Robertson, who had recently moved out of Richmond to the countryside, if he would donate his three-story home near the corner of Third and Main Streets to the cause. 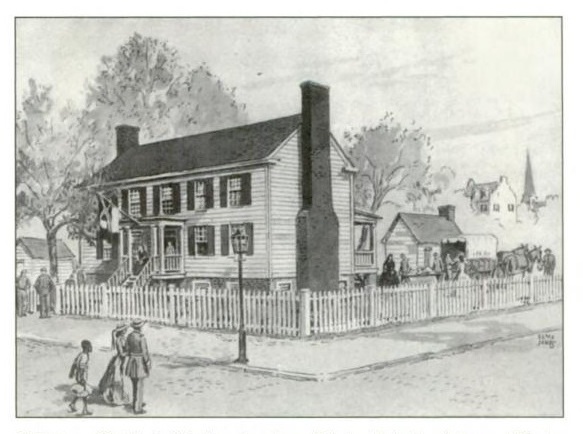 He agreed and Tompkins turned the home into a 22 bed infirmary for wounded soldiers. The Robertson Hospital officially opened on August 1 in 1861. The government assigned six surgeons and supplied only food, medicine and supplies to the hospital, with Tompkins covering the remaining expenses with her inheritance. Tompkins was strict about cleanliness in her hospital, which resulted in a 94 percent survival rate among her patients. Of the 1,300 wounded soldiers sent to her hospital, only 73 died. According to the book “An Encyclopedia of Women at War,” in September of 1861, after it was discovered that a number of private hospitals were overcharging the Confederate government, President Jefferson Davis called for the closure of all private hospitals. (3) that the managers who deserve honour & commendation as among the heroines of the war be requested to such among our many wards (hitherto secluded from their presence) fields where their ministrations may be productive of greater usefulness. Regardless of when she acquired the position, her new role quickly earned her the new nickname “Captain Sally” among her patients and staff at the hospital. The hospital remained open until the end of the war, officially closing its doors on June 13, 1865. In August of 1875, Robertson hospital was torn down and a new building took its place. 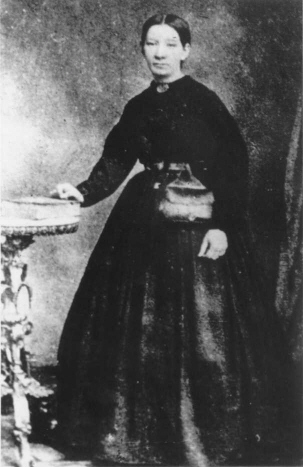 Although she had numerous marriage proposals, Tompkins never married and instead continued with her charity work after the war, helping widows and orphans of Confederate soldiers. After spending most of her fortune helping others, Tompkins entered Richmond’s Home for Confederate Women in 1905 where she remained for 11 years until her death on July 25, 1916. She was buried with full military honors at the Christ Episcopal Church in Matthews County, Virginia. There was a second one a Lucy Mina Otey who ran a hospital both in Lynchburg and Richmond.